Loans are no fun, nor is $51.5 billion coming under the cover of China–Pakistan Economic Corridor (CPEC). It is easy to find yourself in debt, but it is hard to get out of it. This leads to the question, how will Pakistan get out of Chinese loans? CPEC has financial arrangements on South-South Cooperation model which don’t just depend on giving aid like the North-South Cooperation. Under this Cooperation, China has made use of four major tactics: investment, aid/grants, joint ventures and equity ratio. And when BOT (build-operate-transfer) is not possible, the next best alternative is opting for soft loans. These loans are comprised of three categories: preferential buyer’s credit, concessional loans and interest free loans. Loans are not given to the government of Pakistan, so, by no means do they burden Pakistan’s economy. The loans are being given to the companies that are involved in CPEC related projects. For example, if a company wants to undertake a project, it has to take loan from China’s Bank. How does that burden Pakistan’s economy when the country has nothing to pay back? Firstly, all energy projects are investments which are based on Independent Power Producer (IPP) mode. They are required to have some equity ratio. The equity ratio, basically, is a debt ratio that is meant to access a company’s leverage, a figure calculated by dividing the company’s total liabilities by its stockholders’ equity. Some projects are directly invested in by the Commercial Bank of China and Import-Export Bank of China, whereas others are joint ventures like the Port Qasim power plant, with an approximate investment of $2.085 billion. The equity ratio of this project is 25%, while the rest has to be arranged by the sponsors through debt financing from the Import-Export Bank of China (China EXIM Bank). Some are financed by the International Finance Corporation (IFC) of the World Bank Group and The Silk Road Fund such as Karot hydropower station. So, the financial arrangements of CPEC’s energy projects do not burden the government of Pakistan, but the companies involved in it. Secondly, these are not only loans that the IMF has been giving us, but a mega-investment under the guise of loans meant to ensure the smooth functioning of CPEC projects – it’s a somewhat cautious investment. Pakistan has $65 billion in debt. What have we been utilising this huge amount of debt for? To my readers’ surprise, we have been utilising it for meeting day-to-day expenses and paying consultants, hence it adds little to the benefits of Pakistan. On the contrary, CPEC, which is not a complete debt based project, adds a lot in the long-term value. It means huge benefits in terms of port access, transit corridor, trade hub, Foreign Direct Investment (FDI), and internal development. Let’s get back to the past for a while. A few years ago, Pakistan was declared a ‘failed state’. No country was willing to invest in Pakistan. Investors, if there were any, used to sit in Dubai to negotiate. American Stock Index Provider, Morgan Stanley Capital International (MSCI), categorised it as a frontier market, which was an indicator of the poor state of Pakistan’s economic affairs. 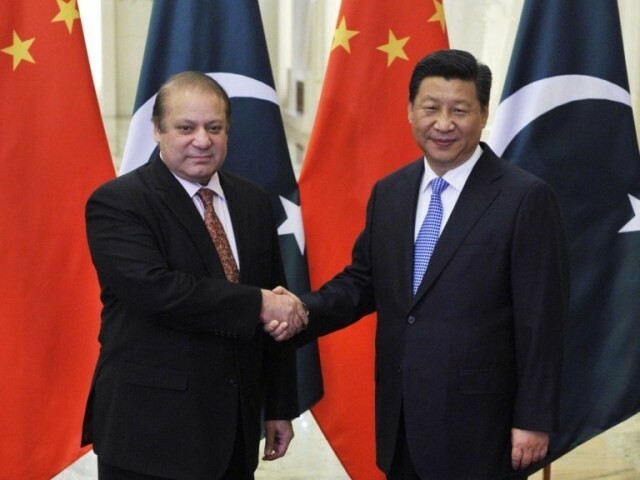 But, with China’s investment, Pakistan’s economic prospects are becoming brighter. MSCI has included it amongst the 10 most emerging economies of the world. It also listed the KSE-100 share index as the world’s fifth best market. Another American international ratings agency, Atlantic Media Company (AMC), has ranked Pakistan as a comparatively stronger economy of South Asia which is bound to flourish in the coming years. AMC believes that the investment in infrastructure, coupled with the relative political stability, has accelerated the country’s GDP. So, what are investors looking for in an emerging economy like Pakistan? In that regard, a reference is being made to the recent IMF report on the monetary issues of CPEC. If you read the language of the report, it is very careful and defensive. Even more, it endorses the fact that CPEC is good, but there is no guarantee. Pakistan’s industrial sector needs to be competitive enough lest its imports outweigh its exports. The issue of current account deficit is on the list, but it shouldn’t be blown out of proportion. No country has, so far, been bankrupted by an FDI. And no country has been bankrupted by a current account deficit either. There are many concerns over CPEC. The Pakistani industry should equally benefit from the project and there must be transparency regarding CPEC related projects. There are no two ways about it. Are we expecting CPEC to be a zero-risk economic package? Has there ever been such an economic package? Even the Marshall Plan wasn’t altruistic in nature. There are no economic projects that involve zero-risks. There is no free lunch either. Pakistan needs to strike a smart bargain and initiate long-term institutional reforms and internal development packages, which will take decades to bring fruits. In academia, think-tanks and policy circles, these issues have been taken under consideration. There must be assessments, recommendations, positive criticism and drafting a roadmap for the way ahead. But we must be realistic and stop looking into CPEC in terms of absolute gains. If we think so, we are clearly mistaken. Loans are no fun, if you have to repay with interest. of energy goes to china, in KPK route and western route ,there is no such things only road is being built. Well it took me some time to digest what I read after knowing this was coming from a professor teaching in Islamabad. Lets take one at a time. a) The author says that because the loans are taken by companies in Pakistan and not by the Pakistan government, so we basically don’t need to bother about the payment. It doesn’t put any burden in Debt to Gdp ratio, which has already crossed comfort level. This assumption is completely wrong. No bank and I repeat no bank any where in world will give you loan without any guarantee, in case of International loans its sovereign guarantee. That means if company is not able to pay back, those company would be sold or declare insolvent, in any of the case Pakistan govt. has to intervene either by buying those companies or ending its operations and paying its remaining loan amount. And to pay such big loans you need big profit = costly goods sold to people and further reducing there purchasing power. And as the author mentioned till now there loans are only used in revenue expenditure and nothing substantial has came up. Pakistan to pay back those loans will need to take more loans(means simply kicking the ball further) or increase there exports. The main problem with increasing there export is to make it competitive .. Taxes, surcharges(like additional security for CPEC) and interest on previous loans is going to make this project very very costly thereby forcing all export oriented industries to be extremely efficient which Industries in Pakistan are not or increasing there cost = difficult to compete in international market. There is no easy way out. And at max Pakistan exports are raw material and low capital and skill goods like Textile which faces competition in International market from India, Vietnam, Bangladesh, Laos. All much more stable and far more competitive. b ) Coming to point where our author said no country has gone bankrupt by FDI or fiscal deficit. I can only say Sir you are horribly wrong. Let me remind you an incident called Asian tiger crisis of 90’s, countries like South Korea, Malaysia, Indonesia almost went bankrupt because of huge amount of capital outflow .. how they survived ?? High Forex reserve, low Non performing assets (bank dues) and low inflation allowed govt. to support. Pakistan have a luxury of none your inflation is 10%, Forex reserve is only 15 billion. Which means any outflow of this sort will make you bankrupt because Pakistan is depended on oil and other resource import . c ) Coming to Fiscal deficit.. Sir you might have heard of Greece. and the default it made on its payment last year, there was Troika and ECB to support them you have none. In case of high Fiscal deficit countries rating are reduced to junk and then further loans are extremely difficult + investment stops = Economic death. Moreover too much currency going out reduces its value forcing it to depreciate = which make debt servicing even difficult = Bankruptcy + imports at devalued currency + Inflation = further erosion of currency and the cycle goes on. Not sure why when it is Pakistan, Indians become the best Economic Advisors Pakistan never needed nor desired. The inflation is at 4.5% and the Forex are at 24+ Billions USD and rising. Out of the 51 Billion committed thus far, a third is outright grant- that is FREE money which furthers Chinese interests. But bypassing the thickets of stupidity-do you think China is investing in Pakistan to make money by squeezing Pakistanis? Pakistan is now the Marquee in the Belt and Road and China is lavishing all this to show other small nations what China can do to transform their fortunes. Stay tuned, China might just double her commitment to Pakistan if it furthers Chinese global interests. China wants to dispose of USD (buying gold, land, foreign influence, loans, grants) and increase its influence in the world to march quickly on its path to becoming an fully established world power. Other countries will repay the loans at some point but Pakistan has fundamental weaknesses that other countries don’t have to the extent Pakistan has. China has tried to advise Pakistan on some sensitive issues but Pakistan had had a fixeted mind. When you do an analysis, besides considering opportunities you should also consider threats and weaknesses. There is opportunity for China, no doubt. Whether there is opportunity for Pakistan will depend upon Pakistan;s level of preparedness to leverage that opportunity and its capabilities, which unfortunately do not exist and take at least a decade or two to build. Besides building a Plan B for alternate pathways to ocean and middle east (it already will get Plan C via Bay of Bengal, it just needs to mend relations with India), China’s opportunity is in getting a flat land route to Middle East and Europe for future army deployments and additionally getting markets and infrastructure project deals. Lol endians are behaving like they are world’s best advisors and when did you become so sympathetic for Pakistan? Thanks for the unnecessarily dilatory reply. Again, your economic advice is better served elsewhere. Now you switch from purely economic argument to channeling China’s inner mind. If Indians were good at understanding Chinese mind then India would not be in a disadvantaged position as it is now- beginning with 1962. You really do not know what China advises Pakistan do you? Are you the fly on that wall? Then you go on to blithely stating Pakistan has ‘fundamental’ weaknesses that ‘other’ countries do not have…..REALLY? So globally speaking Pakistan has some inherent ‘weakness’ that no other country has???? Boy talk about Bias……. But please do explain what that unique weakness is, and how it prevents Pakistan from benefiting from this infrastructure development? Shame on you sir just for being nasty. And if you quantify “alms” or more appropriately Aid, India has received just as much Aid from the World as have smaller South Asian nations and still India is a third world country. We understand China, given we have been in its neighborhood and watched its behavior for decades and interacted with it too. India is in a bad shape since 1962 because India is a imperfect democracy that it is unsuited for given the unpreparedness of its population in selecting the right governments. If our governance was right, we would have controlled our population growth, and not missed the manufacturing bus that went to China instead. Regarding Pakistan, I am comparing it with 50-60% of the countries that have some semblance of governance not the outright fruit-basket cases. With that comparison, Pakistan stands as a pariah country of zero worth and high maint. cost factor to be met by other countries. It is known as the only country that is the fountain head of terrorism and where Islamic forces find convenient shelter, a country that has no identity, no governance, in serious international debt, where no one wants to live and a country that is ready to sell its remaining sovereignty in the form of land. In contrast, even Saudi Arabia has better governance, although not humanitarian, it has huge sovereignty since it is not in debt and it is a place where people want to travel, buy homes and live. Just because you have not been invited to the Chinese Grand Plan for CPEC does not mean in any way that it is just what you think it is. Get it? Read my post again if you are having trouble understanding my plain English. What “PRIMARY” benefits are not “mapping” to Pakistan? Infrastructure accelerates ease of doing business and accrues to GDP. Pakistan’s GDP is estimated to reach 5-6 %. But the news is that you have finally accepted there are benefits for Pakistan in this….but of course you label them as secondary. Well from a failed/bankrupt scenario to secondary is progress……for you. You kinda lost me around EXCEPT……. Because ExpressNews isn’t exactly Pakistani Media. Its an American mouthpiece sponsored by New York Time.